Jamie has closed over $40 million dollars in Real Estate Transactions since becoming a Realtor. With an extensive background in business and finance, Jamie can help you as a client feel at ease with the complexities of buying beach, residential or commercial properties. Before his Real Estate Career, Jamie held positions in banking, finance, accounting and management. 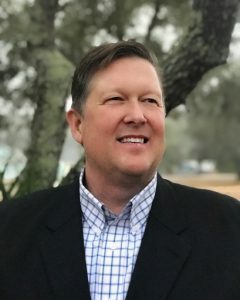 Jamie earned a Bachelor’s of Science Degree in Marketing from Florida State University and has held positions in the Franklin/Gulf Counties Realtor Association as President, Vice President, Past President, and Treasurer and is currently serving a term as a Director. Our unique area is referred to as the “Forgotten Coast” because of the area’s unspoiled beauty, rich history, low-density development, and prices well below that of other Florida vacation destinations! The unique combination of physical beauty and sustainable land use, make Florida’s Forgotten Coast a great place to live or visit. Let Jamie assist you with the purchase of your very own Beach Home, Second Home, Residential, Commercial, REO, Foreclosure, Condo, Townhome, Vacant Land or Investment Property. Jamie has lived along the “Forgotten Coast” his entire life and loves, and greatly appreciates this beautiful area. Mindful of our natural blessings, Jamie has supported local government in adoption of ordinances and master plans that ensure the area’s natural unspoiled landscape to remain the way it is without the blight of high-rise construction or other high density land use.